Get exclusive deals on purchasing best parts for your Suzuki Dual Sport bike! Suzuki Dual Sport gives riders a strong performance edge over other bikes and we feel proud to bring you everything related to this amazing masterpiece from Suzuki. 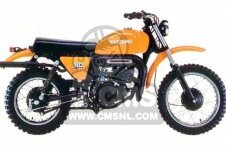 Availability of wide range of parts and accessories of a favorite bike is definitely a great news for riders who love their vehicle with extreme passion. We are keen to help you get maximum joy of your ride, by achieving perfect control over your sports bike. The credit goes to our array of bike parts that will adapt to your vehicle easily. Whether it is gravel, short trails, long roads or streets, bikers ride wherever their Suzuki Dual Sport takes them. But you definitely need something solid to keep the bike running smoothly. CMS offers you a way to get it done at one place without wasting your precious time. No matter what type of sport vehicle you ride, we are here to give you an experience that you haven't got ever before. In recent time, we have broadened our selection of bike parts by putting forward an important step to add some prominent brand names in our list. 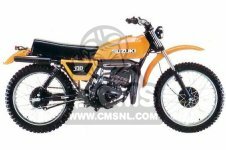 CMS offers items for different models such as Suzuki Dual Sport 125, Suzuki TS100, Suzuki TS250, Suzuki TS185, Suzuki TS50 and the list goes on. Whether you want to get back the classic look for your bike or you simply want to restore it in customized style, we offer you all necessary components you require. If you are curious about our product catalogue then we have definitely powered packed everything for you with several surprises. Explore our array of categories and discover what you want within only few clicks. We are ready to receive your online orders now!